Today, we announced three important additions to the annual Active RVA Awards program for 2015. We’re excited to share that this year’s Awards program, on March 3rd, 2015, will feature a new morning workshop session and two new awards to honor leadership and innovation for active living in the Richmond Region. Want to join us on March 3rd? 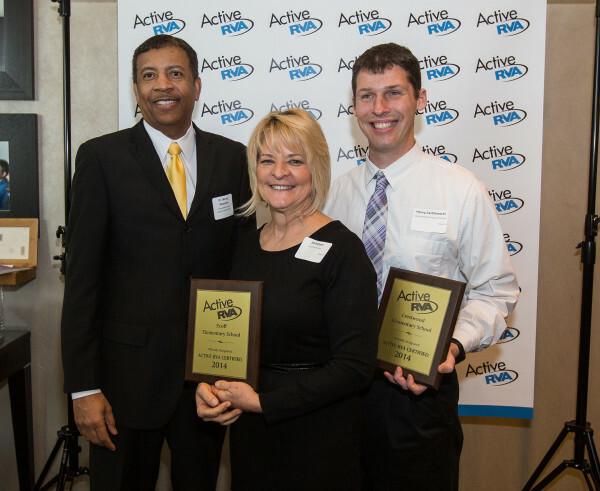 RICHMOND, VA – Active RVA announced an expansion of their annual awards program, to be held on Tuesday, March 3rd, 2015 at the Omni Richmond Hotel. The awards honor and celebrate the region’s top innovators in active living initiatives, and this year’s program will be bigger and more comprehensive, featuring two new awards categories and an expanded morning workshop session. The new additions will complement the standing annual recognition of Active RVA-Certified Schools and Workplaces and the release of the 2015 Regional Fitness Scorecard. The Active RVA Infrastructure and Changemaker Awards will be selected through a nomination process that goes live today. Active RVA’s Leadership Team, a cross-sector partnership committed to improving the quality of life for all Richmonders through active living, will help to select the winners from among all the nominated projects and changemakers. Registration for workshops the morning of March 3rd preceding the Awards Luncheon is also now open. Experts in workplace wellness, school-based kinesthetic learning, and community organizing will model proven programs and strategies and illustrate how they can be implemented in schools and workplaces across the Richmond region. To improve the quality of life for every Richmonder, Active RVA coordinates diverse leaders and projects to help every corner of the Richmond region get active. Certified schools and workplaces and award winners will receive one complimentary ticket to the luncheon or discount on the full day program on March 3. All others are invited to register and celebrate the growth of active living in Richmond. Space is limited.